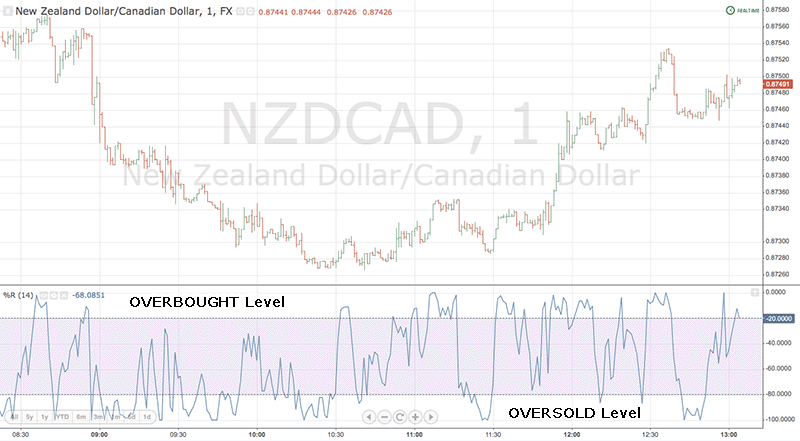 This indicator was created by Larry Williams and shows overbought and oversold levels, using a negative range of 0 to -100. When the Williams %R falls below the oversold level of -80. A Bullish Divergence, where the price creates a lower low and the indicator creates a higher high. Or when a Failure Swing presents it self. When the Williams %R rises above the overbought level of -20. A Bearish Divergence, where the price creates a higher high and the indicator creates a lower high. Or when a Failure Swing appears.